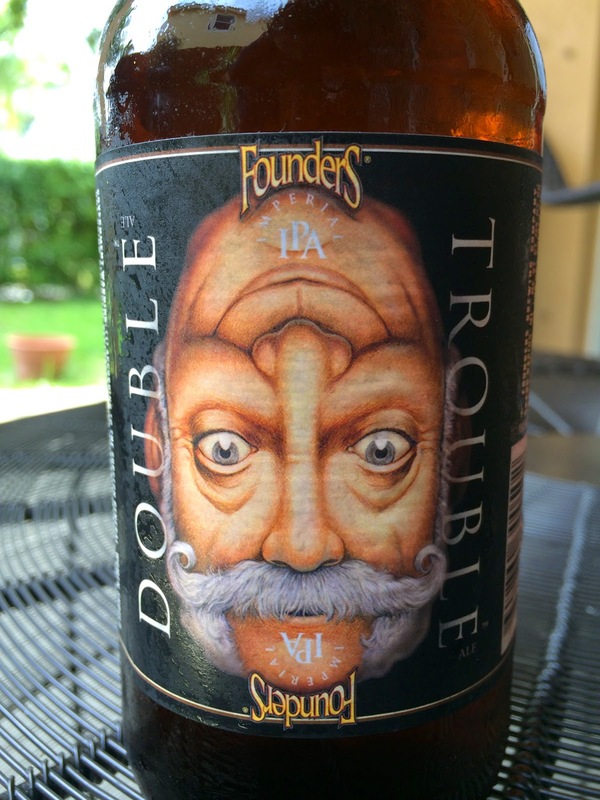 But I am celebrating today with a bottle of Founders Brewing's Double Trouble Imperial IPA. This has been sitting in my fridge for a few weeks and you know what they say about letting IPAs sit around, right? 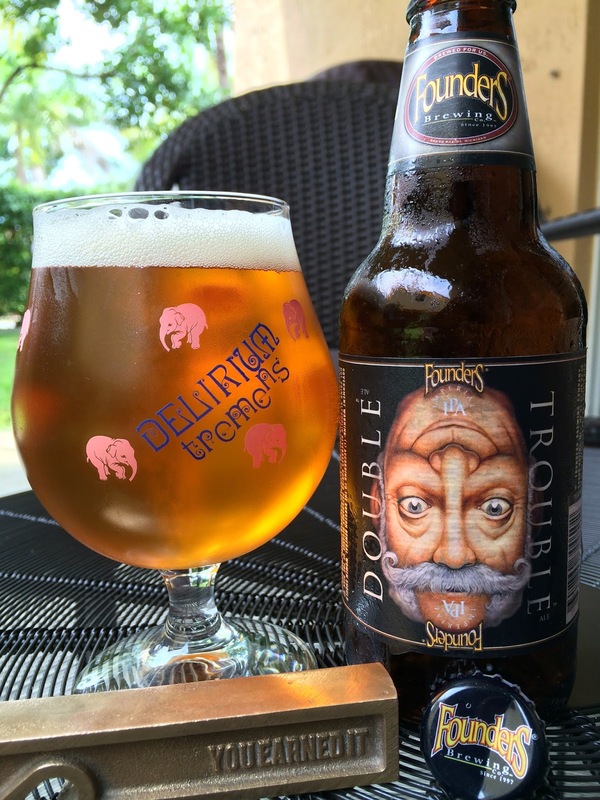 I also decided to really go all out and use my new Delirium Tremens glass and awesome new "You Earned It" brass bottle opener! The label art is very cool and plays off the name of the beer. It shows a "two-in-one" face, depending on how you are looking at it. Right-side up is a dude with a mustache; upside down is a happy, clean-shaven man. He's probably happy because the beer is in his glass. 9.4% alcohol. 86 IBU. Bottled 06/04/2014. Terrific fruity aroma full of apples and mangoes, fresh and quite hoppy. Nice bitterness up front with pungent, ripe hop flavors. Green and dank! Pine bitterness and spicy little nips on the tongue follow, along with some fruity citrus. Mild orange and pineapple sweetness add a hint of balance, though this leans more bitter by a good amount. Some alcohol shows off and on, along with some accompanying dryness. Resinous pine bitterness lingers at the finish. Very enjoyable and highly recommended! But I'm back to All Day IPA now! All Day IPA has been a staple in my summer rotation. So easily drinkable and good!